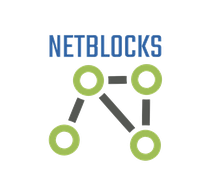 NetBlocks (netblocks.org) is a modular technology framework for transparent internet governance and real-time monitoring of network controls. The platform combines probe hardware, remote scans and other data sources to provide an enhanced view of internet health that is aggregated and statistically analyzed in real-time, with the goal of rapidly detecting interference affecting whole regions and populations such as during periods of political unrest. OTF supported NetBlocks growth resulting in hundreds of thousands of measurements from thousands of vantage points each month. The project has released numerous open source tools and produced reports on Iran, Cameroon, Pakistan and Bangladesh, among others. NetBlocks is the technology project of Turkey Blocks, a network observatory which focuses on internet shutdowns and social network availability. The system is a synthesis and refinement of tools and techniques that have been successfully used to reduce the time to detection, increase the accuracy of network interference reports and improve the digital forensic quality of collected metrics.